Catch us on Atomic Moms Podcast by Ellie Knaus! 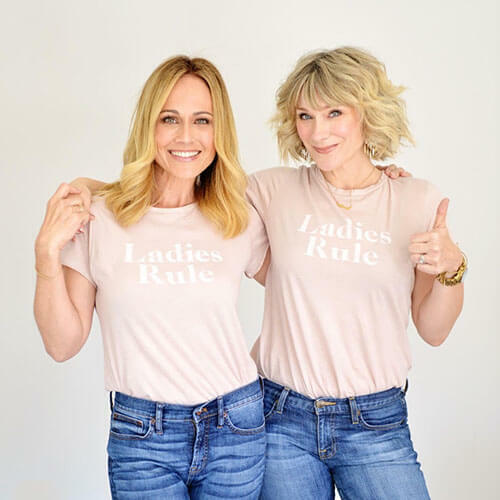 “Friends Nikki DeLoach (Awkward) and Jen Dede (Shameless) have supported each other through hell and back and aren’t afraid to crack a joke about it. They speak candidly about Jen’s 8 year struggle with fertility, Nikki’s harrowing experience with her newborn’s open-heart surgery two months ago, and our fear of the big D and we don’t mean Dallas OR Divorce. OK fine…I’ll say it. Death. Join us in celebrating the launch of their super positive, uplifting, and crazy honest site: What We Are – A community of women celebrating our beautifully unfiltered selves.